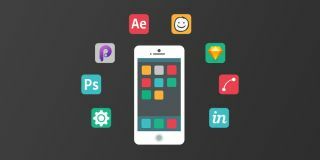 Learn Photoshop, Sketch 4, After Effects, Flinto, Principle and more of the tools app designers count on. As more and more people get their hands on smartphones and tablets, it's clear mobile is the wave of the future. There's never been a better time to learn how to design for the platform, and the Complete Mobile App Design From Scratch Course is the perfect place to start. Get it on sale with 50 per cent off the retail price right now! UX designers are now as in demand as software engineers, and there's only more room to grow. If you're interested in pursuing a career in design, there's never been a better time to get your start with the Complete Mobile App Design From Scratch Course. This deep-dive into the tools that designers count on will give you the knowledge you need to start crafting your own apps from scratch. You can get the Complete Mobile App Design From Scratch Course on sale for just $100 (approx. £78). That's 50 per cent off the retail price for a course that will get you started in app design, so grab this deal today!